This weekend, 180 of our youth will be going on ‘Really Living’ - their annual back-to-school retreat. I went with our youth on this retreat last year and did not expect how full - or how messy - the experience would be. For 48 hours, the youth come together. 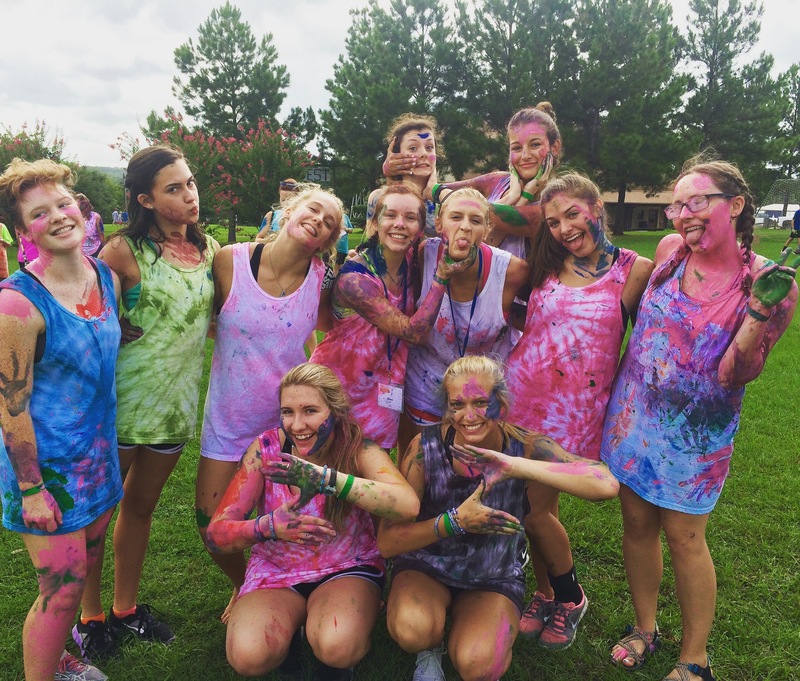 Through games, worship, small groups, and pudding, they end the summer by celebrating that to really live means life will be messy. This isn’t the sort of mess you clean up; it’s the kind of mess that you lean into and embrace. When things are messy in our lives, it’s easy to feel frozen or helpless. In our struggle to embrace the messy middle, we live in this tension that polarizes and divides us. When something chaotic, confusing, hurtful or frustrating happens in the world, what can I do? Do I post something eloquent on Facebook? Do I talk about the problems and the problems with our problems? Or do I feel so unable to respond that I simply don’t and I do nothing? Do I hide? “Really Living” seems to be defined so clearly in these verses focusing on good works, being generous, and being ready to share. It seems as though these instructions are not a guide for how to get out of the messes in our lives, but instead how to live to the fullest in the middle of the mess. In the middle of the mess, there’s someone who needs you in a hospital room. There’s someone whose whole perspective on the day might change by a free lunch bought for them. There are children longing for us to teach them. There are things we can do: donating, giving, sorting, loving in action. Author Rachel Naomi Remmon says it this way: “helping and fixing and serving represent three very different ways of viewing the world: When you help, you see life as weak, when you fix you see life as broken, But when you serve, you see life as whole.” Wholeness does not come in the absence of struggle; it comes in the middle of it. It comes when we choose to not have all the answers but to instead meet in the middle and serve. In just a few short hours I will leave with our youth and ‘really live’ this weekend. By Saturday I will be covered in paint or pudding and sharing smiles with our youth in hopes that we may be an encouragement and confidence for them as they go back to school. Words will never capture fully the work God does in the middle of it all. I can’t wait. Where is God calling you to really live this weekend - to serve and embrace the mess? Join us this Sunday as we conclude our series “Building Bridges” by talking about partnership. Working together to build a bridge of justice and compassion is messy work, but it’s worth it. It is what makes us whole.